In this techno world, the craze of a device which can update us regularly with society and media is on the peak. Gadgets deduce our daily routine burden and carry out our basic tasks in a go. Many gadgets are immersed in this single word “Technology” and Mobile is one of its essential parts. A Phone (either new or used) in today’s life is as important as other daily routine items. There are two ways to own a phone i.e. either spend more bucks and own a new phone or purchase a used mobile with a lower budget. Now considering the common issues, we are presenting few tips to follow before buying a used mobile. Gain information about the Product: Before proceeding for any particular phone, carry out a research mission on that particular phone regarding its specifications and price. It will give you the basic idea while doing a live test run of that phone. Internet is the best way to gain basic knowledge of any phone. Get in touch with suppliers: To buy a used phone, get in touch with locations where you can find that product. You can either find the dealers nearby you or you can visit any on-line portal that provides used products from different sellers. Search the right Piece: You select a mobile either on the online portals or from any shop. But before selecting, search for other places for the same phone and compare their price, used condition, duration of use etc. After doing all this, select the right product out of all available. Ask whether the product was earlier repaired or not. Grab Information about the Product: After deciding to buy a particular piece, ask for the complete information regarding it. Check for complete information including its original bill, place where it was repaired, repairing receipt, accessories available with it, battery status (newly added or the old one) and more. The main task of all is the negotiation of price at which seller is ready to sell its item. Ask for exchange: It might be a case that you already own a mobile phone which you are planning to sell. So ask the seller if he is willing to exchange your phone along with some money. If he agrees then it will be good as you will be paying a lesser amount. Checkout the bill: At last, checkout the bill for that particular mobile. It will be good for you to have a written proof that you have bought the phone legally rather than illegal means. 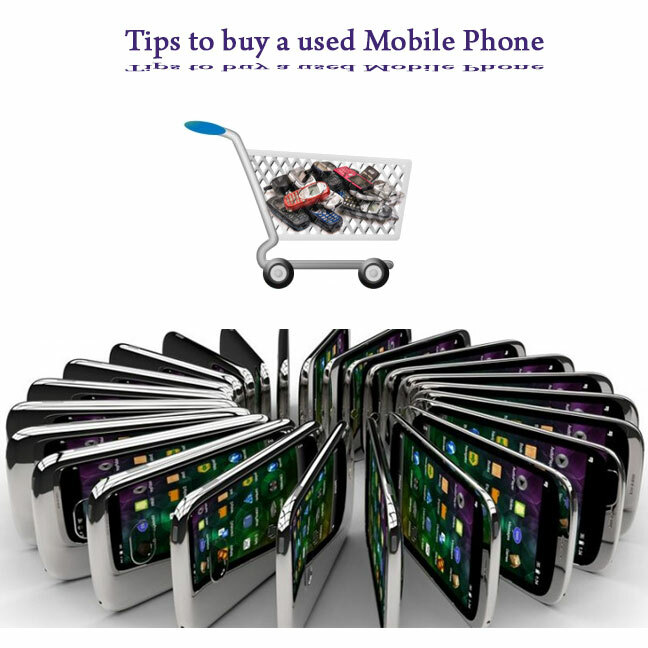 The above mention tips will be very useful for you in the case you are planning to buy a used phone.